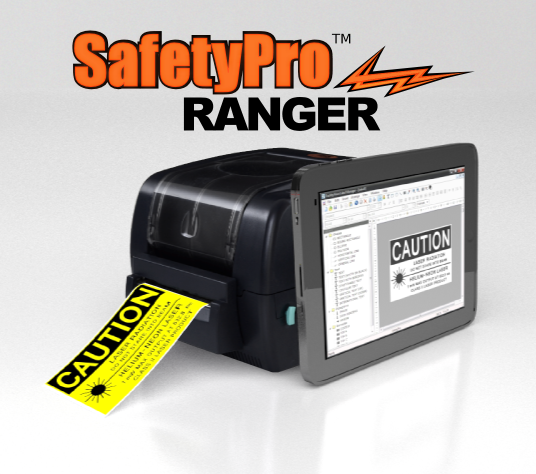 The SafetyPro Ranger will reshape the way you view labeling! 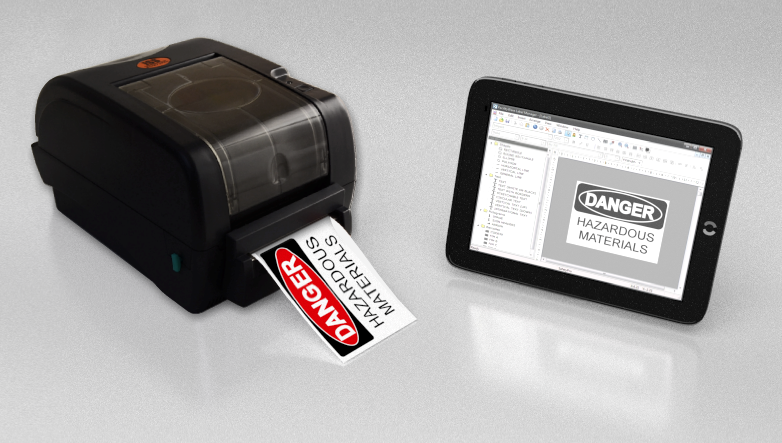 This powerful printer and tablet combination gives you the power to create labels on the go, gather data in the field, and then print your custom labels instantly. As a leader in innovation, ISS has done it again! Use the SafetyPro Ranger for more than just labeling. The SafetyPro Ranger is a worry-free, capacitive touch tablet, for optimum performance and portability. Because the Ranger runs a full, up-to-date version Windows, you'll be able to install and run the applications you need, without OS limitations! Worry-free labeling in the palm of your hand. No more installation issues, no more hassle; with the Ranger, you can print instantly, right out of the box! The SafetyPro Ranger is a powerful printer and tablet combination, that gives you maximum portability, compatibility and ease of use. Don't want to deal with IT? No problem. The Ranger comes pre-installed, and can be operated network free. Connecting to your network is entirely optional, the Ranger setup is designed to get you printing with or without a network. It is a truly standalone print solution. Don't get stuck with proprietary printers like the DuraLabel Toro or Brady BBP31. All-in-one units like the Toro and BBP31 are heavy, bulky, and inflexible. With the SafetyPro Ranger you get cutting-edge capacitive-based touch technology, powered by Intel Atom and Windows 7. This full powered tablet solution from ISS gives you the ability to run ANY of your existing software, without the limitations of the DuraLabel Toro or Brady BBP31. You can run SKM, eTap, or any other software you may need. The Ranger disconnects, so you don't have to! The SafetyPro Ranger is pre-configured and network independent! If you don't want to hassle with setup, running the Ranger network free is for you. It comes ready to print, right out of the box! The Ranger is network-independent, so no network is required. If you have a network, you will be able to easily connect with WIFI, or put your printer on the network and print from other PC's- a site license for FacilityWare is included! The SafetyPro Ranger tablet solution, goes anywhere! You don't have to lug around a large, heavy printer just to go into the field or plant and gather data. With the Ranger, take just the powerful tablet computer component. Use the included database and spreadsheet to gather information, or install your company-specific software, it's your choice! Use the embedded digital camera to take pictures of areas that need labels! With the SafetyPro Ranger, you can take a quick snapshot of an area that needs labels. When you get back to your desk, you won't have to worry about remembering where the labels were meant to go- the information will be right at your fingertips! 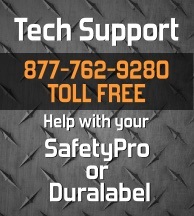 Call 877-762-9280 today and we'll answer all of your questions about the SafetyPro Ranger, or about your labeling project requirements. Ask us how you can save more with package and volume discounts too! Save more by purchasing a package! Pre-configured software, ready to print right out of the box! An industry favorite for arc flash and 5s labeling!